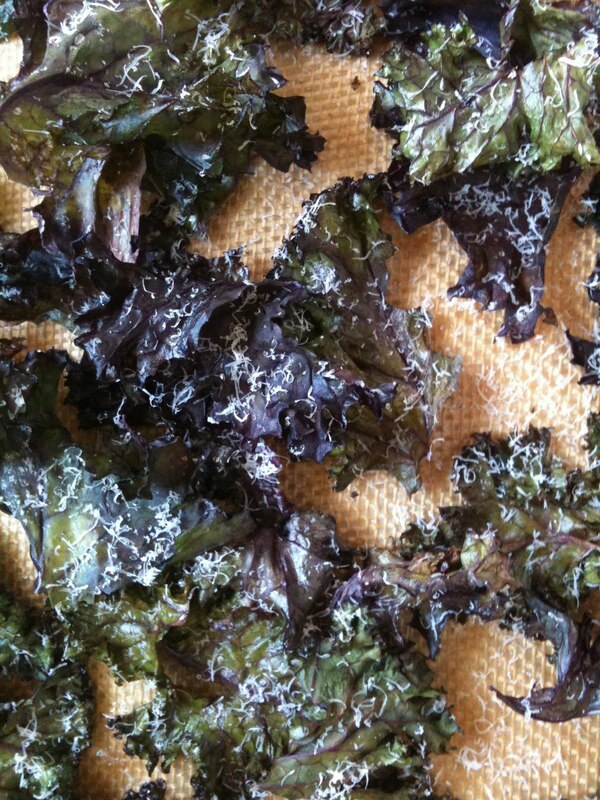 However you feel about Kale, put it to the side and try these crispy crunchy yummy Kale Chips. Super crispy super food !! My cousin Amy was here this summer and she brought some from her neck of the woods, Los Altos, Ca. She gets them at her farmers market and they aren’t cheap. Her kids LOVE them, which is amazing, because getting kids to eat veggies is always a struggle. I did some research and found several blogs and a recipe that was in Bon Appetit last year. After trying a couple this is what I came up with. 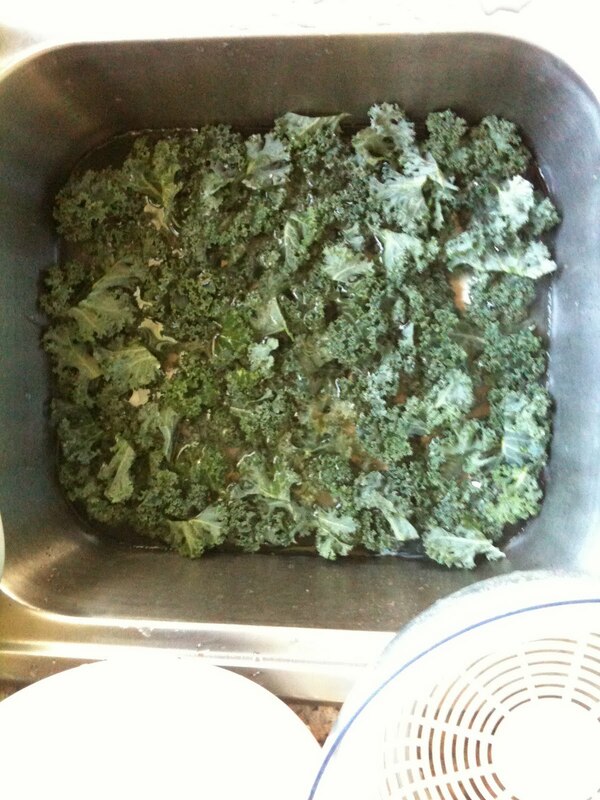 Get some Kale, make sure its firm, bright and fresh. No wilty Kale. 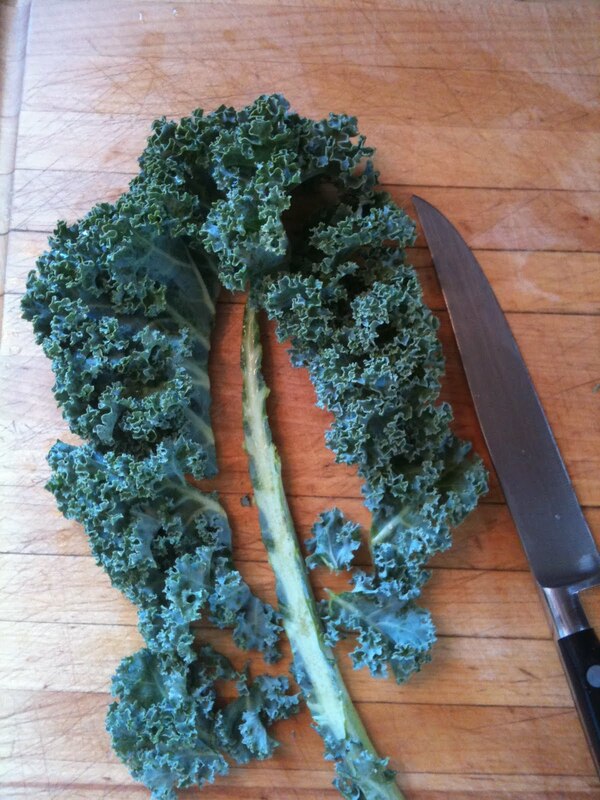 There are various types of Kale in the markets these days. 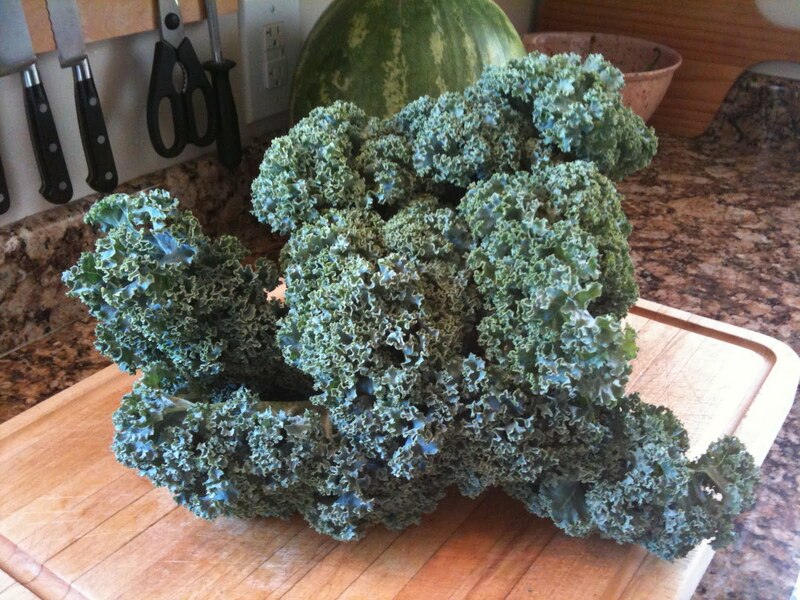 Most will carry the curly Kale as pictured below. I used the curly and organic red Kale, both were delish ! Tear into chip size pieces, wash ( submerge in water ) & dry ( use a salad spinner ) them really well. 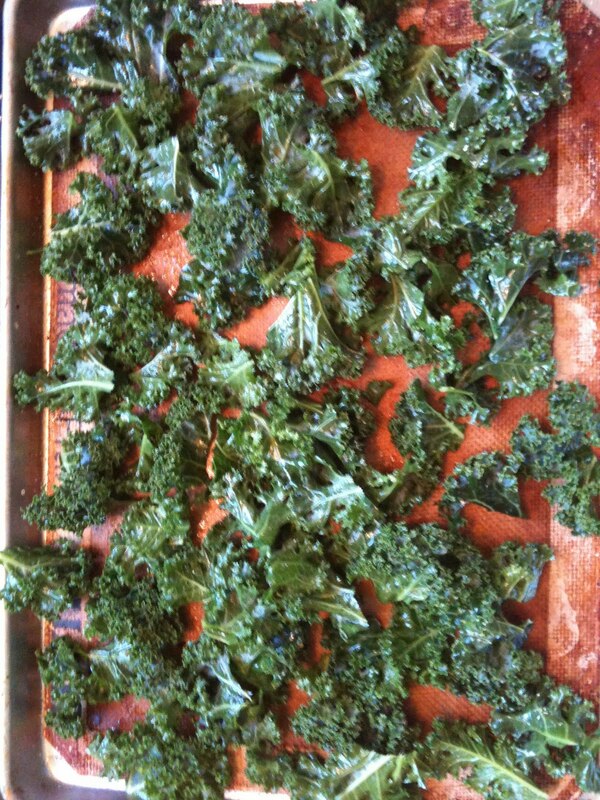 In a large bowl drizzle olive oil ( 1 Tablespoon ) over the Kale pieces, coating them well. Be careful not to use too much oil, this will make oily chips. I used spray olive oil, this worked really well. Salt lightly and arrange on a cookie sheet. Bake for 30 minutes, but start checking them at 20 minutes. All ovens vary and they will burn very quickly. I take them out when the smaller stems on the leaves are crunchy, the thickest part of the chip. When they’re hot and crispy, you can sprinkle cayenne or salt & pepper or parmesan cheese or all of the above. I did the parmesan, it was so tasty. Kids love them, I swear ! try it !! This entry was posted in Veggie by Sarah. Bookmark the permalink. >What a great idea! I'm gonna try it! >i have seen a few recipes for this but was intimidated to try them…your instructions seem so simple and easy this might be a project for tomorrow! thanks Sarah!! >I agree. Certainly sounds simple enough, and worth a try. >Also good with nutritional yeast.